One Reddit user has taken to the popular network with an extremely serious claim: that voting machines are altering votes for the 2012 US Presidential Election. A Pennsylvania electronic voting machine has been taken out of service after being captured on video changing a vote for President Obama into one for Mitt Romney, NBC News has confirmed. We are unable to confirm whether or not something fraudulent has occurred, but the story seems to lean towards a malfunction. 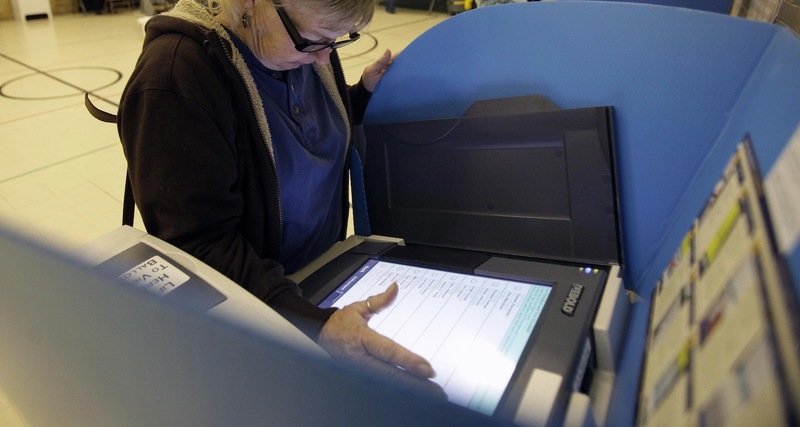 Joseph Lorenzo Hall, Senior Staff Technologist at the Center for Democracy & Technology, has claimed that it is a miscalibration of the touch screen, though Centralpavote’s personal account directly contradicts that statement, pointing towards a malfunctioning piece of hardware, incorrectly implemented software or, in the worst case scenario, intentional voter fraud. The Reddit post has garnered thousands of comments and up votes, and while two Reddit users from CNN were active in the discussions, centralpavote is apparently in talks with NBC Universal and BBC News regarding the matter. We’ve embedded the video below. There were 4 older ladies running the show and 3 voting booths that are similar to a science fair project in how they fold up. They had an oval VOTE logo on top center and a cartridge slot on the left that the volunteers used to start your ballot. I then called over a volunteer to have a look at it. She him hawed for a bit then calmly said “It’s nothing to worry about, everything will be OK.” and went back to what she was doing. I then recorded this video. From fighting SOPA legislation to hosting an Obama AMA, Reddit, in all its imperfections, has quickly become political powerhouse. Whether or not this issue has wings, the amount of attention the claim has received proves that Reddit functions as a political megaphone like almost no other network can. We are watching this issue closely and will update you as it develops. Update 1: Separate reports are suggesting that a simlar issue has been detected across North Carolina. Update 3: According to MSNBC, the Republican National Committee actually sent a letter to election officials in six states last week,”raising concerns that machines had wrongly counted votes for Romney as ones for Obama, and asking them to address the problem.” Talk about irony. I can’t answer this question and I refuse to perpetuate any conspiracy theories. I do not know the cause and I will not speculate on it. I do know that the only buttons affected on my of equipment was Barack Obama’s.